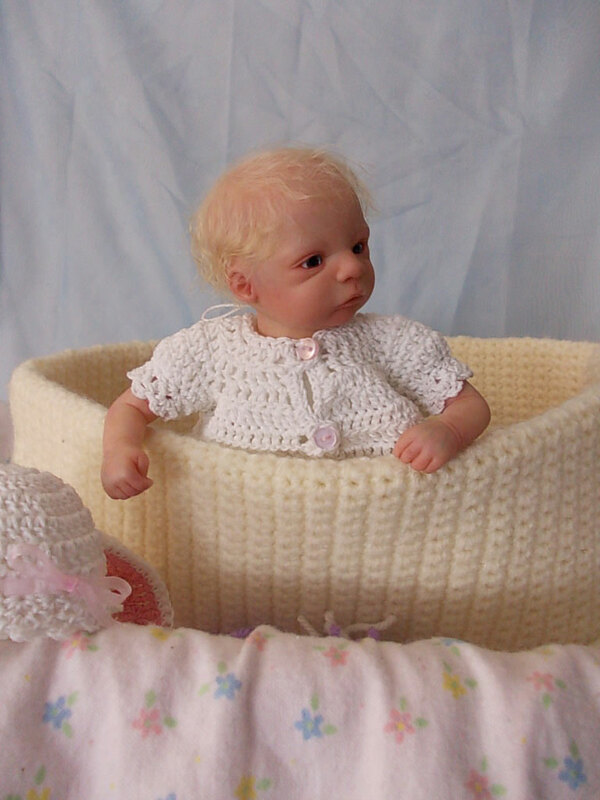 Mya is a tiny little treasure from the Flora sculpt by Gudrun Legler.She has all of the features of a full size reborn, including subtle veining, microrooted mohair, and exquisitely painted alive-looking skin tones and the tiniest little tipped finger- and toenails. 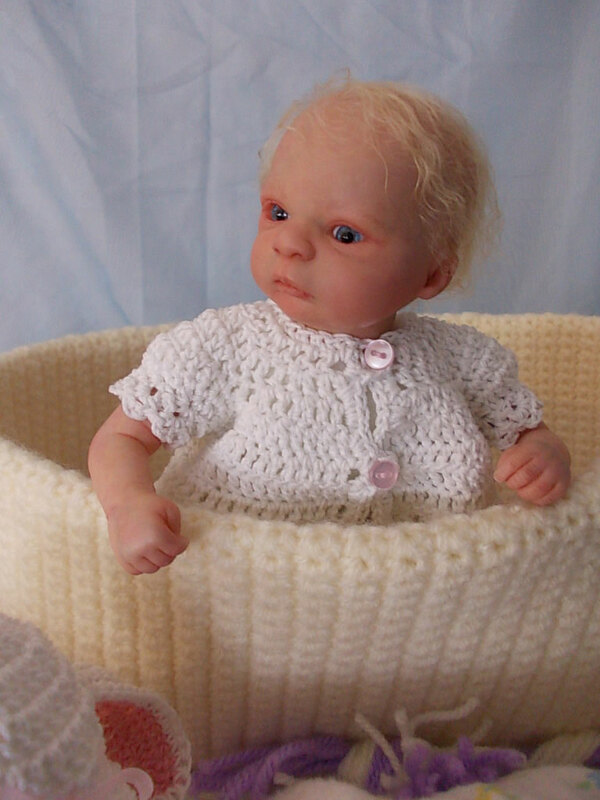 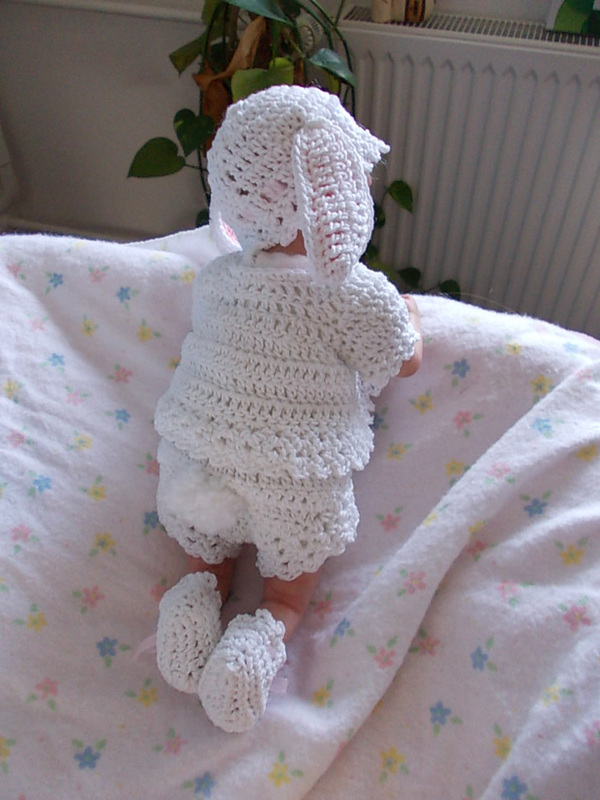 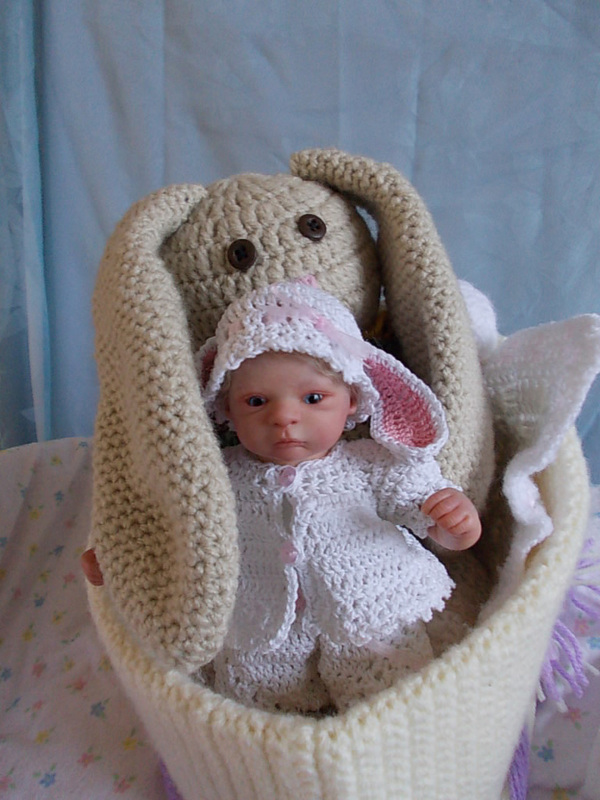 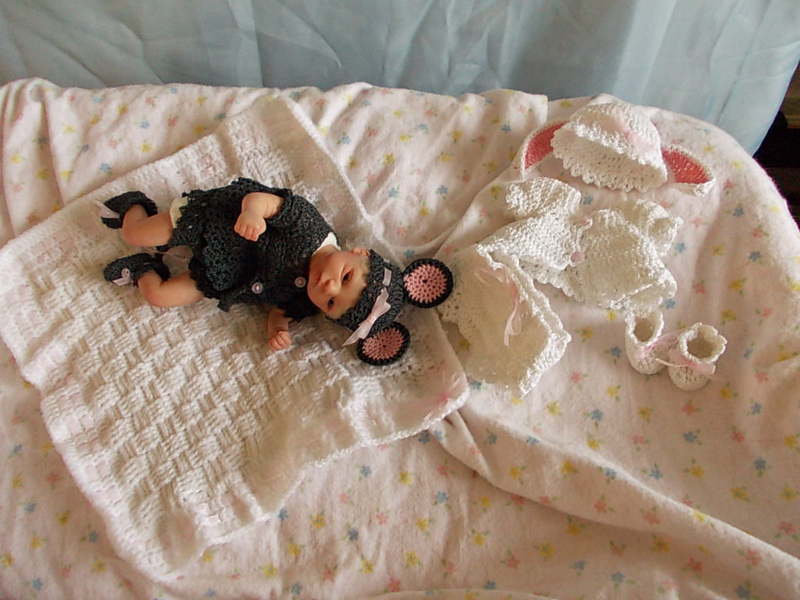 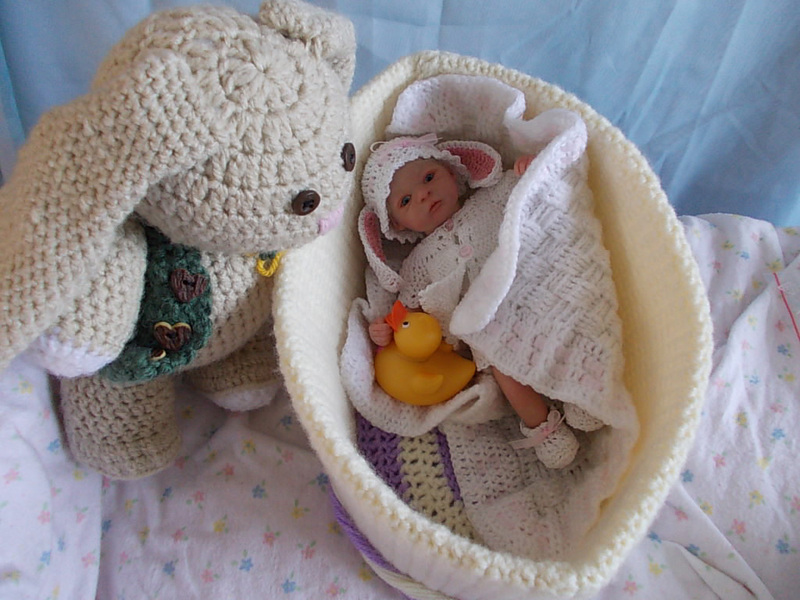 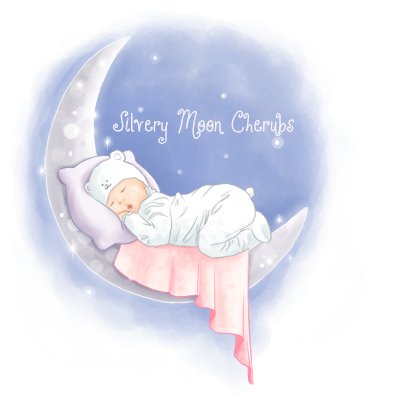 She was ordered as a custom baby for a very special little girl and was therefor modified to be child friendly. 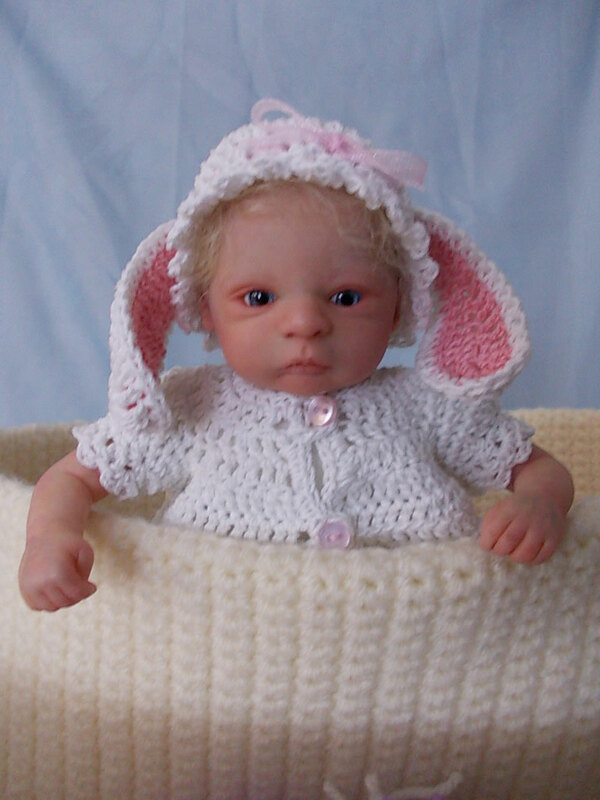 Mya boasts beautiful kid mohair in baby blonde that is ever so soft to the touch and rooted in a realistic swirl atop her tiny crown and beautiful blue acrylic eyes.